Start your journey with a better business network. The D-Link Network Assistant (DNA) is a simple, free, browser-based interface designed to help your first-time deployment of D-Link devices and make further network management easy. The intuitive, multilingual web user-interface helps you configure your D-Link network devices for their first-time deployment quickly and without any hassle. 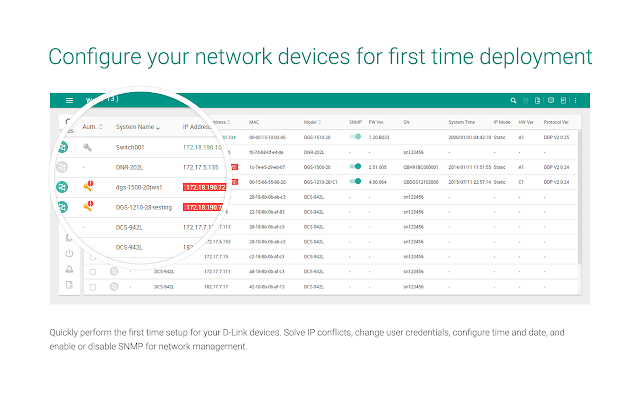 Configure your network devices for first-time deployment. "Auto IP assignment" to quickly set a device’s IP address within a range. Configure multiple devices to perform actions simultaneously. Organise and manage different parts of the network. Find and configure every device in the network. Discover multiple D-Link devices within the same Layer 2 network segment and display them on your screen for instant access. 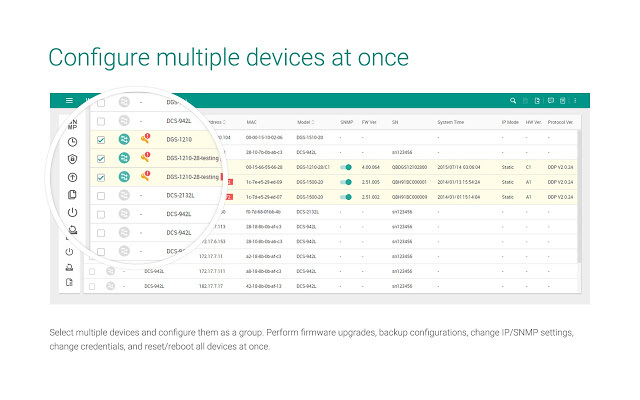 It’s fast and easy to search and list unconfigured devices on your network. It allows for a simultaneous setup of all discovered devices, including password changes and firmware upgrades. Admins don’t need to change the IP address of their PC to do any of this. Get the most out of every device. Use the simple, intuitive interface to set up individual devices. Configure groups of devices to save time. Devices can be grouped together for synchronised configurations. Select either individual or group settings, upgrade firmware, back up or restore configurations, solve IP conflicts, change user credentials, configure the time and date, enable or disable SNMP for network management, reboot or reset devices, and more. Divide and manage the network using Workspaces. Organise devices into custom Workspaces for you to view. 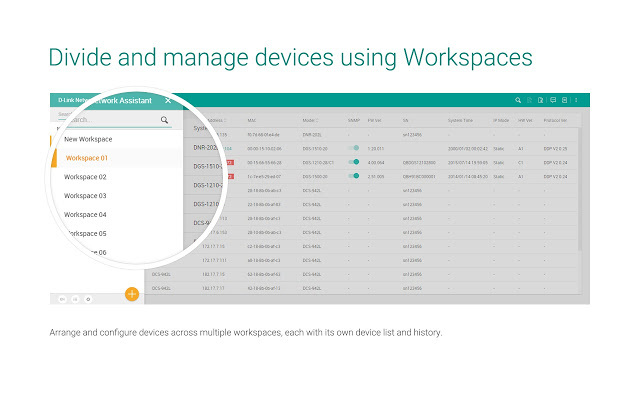 Configure devices across multiple Workspaces - each with its own device list and history. Available on multiple platforms, for free. 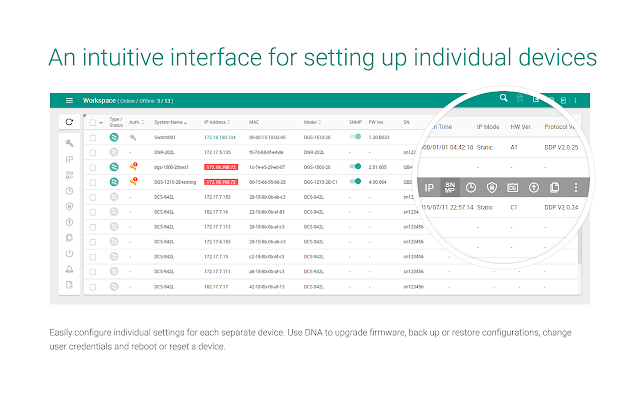 The free D-Link Network Assistant (DNA) Chrome extension is available to download from the Chrome Web Store. It’s also available as a free download on Microsoft Windows 7/8/10 PCs. Purchase instant support and rapid‑replacement service that replaces faulty equipment quickly and efficiently.